I hope all of you are doing well. I have so appreciated your emails and responses to recent notes asking for discernment and prayer about the wave of the Holy Spirit into which PRMI is caught up. I try to answer you personally as much as I can. Please know when I don’t respond, I still consider your contributions carefully and when possible include them in a DTT. First – I have received amazing responses to the guidance I shared from Kim about asking for a specific amount of money by a specific date. We are called to ask our Father for $93,000 by Dec 31, 2013. We did receive clear guidance. We acted upon it. I do not see this as guidance applied to this single instance, but rather as a directive to continue to pray specifically in like fashion for the Lord’s provision in the year to come. One danger is daring to tell our God what to do! The other danger is not being specific enough in our asking. The key, of course, is to ask according to the Will of God. So, we ask the Father to provide precisely as the Holy Spirit directs us to pray in Jesus’ name. 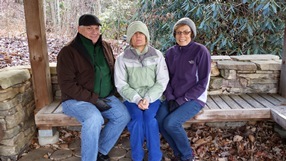 Joe Schlosser, Cindy Strickler and Jeanne Kraak freezing and praying at Ascension Point at the Community of the Cross. It was while on the mountain praying together that the Holy Spirit revealed the guidance. Some our staff prayer time was spent at the COC’s Ascension Point. It was a very cold day! The Lord clearly told us to ask Him for what we needed to break even by the end of the year. This ended up being $93,000. Now, if the Lord were to send more than that, we would rejoice. Within that amount, there is no start-up for 2014. That knowledge leaves us a bit weak-kneed. However, since $93,000 is the number the Holy Spirit gave us, we have to believe our Father is teaching us simple, radical, moment by moment obedience. We could be tempted to name a higher figure, “fudge it” by asking for more than we need to finish 2013 in the black and so have a good start for next year. We refuse to do that. Thank you for your continued prayers as we are stretched in our prayer relationship with our Father finishing this year and heading into 2014. Some of you sent in numbers of 1.5 million and even 5.5 million. The interesting thing is that the 5.5 million is what is needed to complete the major building projects at the COC that are already listed in the 10 year development plan. We felt that this may be something to pray into and receive guidance about for next year and the next three years. In prayer, we saw ourselves as the disciples who had fished all night and caught nothing. Then Jesus tells them to cast their nets on the other side. This came as assurance for us to expect the Lord to lead us to new and unexpected opportunities for obedience. Actually, that is already happening! By harping on this subject, I feel that I am running against the tide of hope and public opinion. Still, I move forward. I believe the Holy Spirit is revealing to me, and my analytical self confirms it, that the Obama Administration and their supporters are so eager to work for peace with Iran and seem so naive about the nature of evil, that contrary to their hopes, their efforts are actually laying the foundations for a terrible disaster with devastating fallout. As far as I have discerned things, the radical clerics of Iran continue with unabated zeal at Satan’s urging and direction their construction of demonic structures designed for global calamity. I admit to you that I struggle with this since I have so little confirmation from other intercessors in this discernment. There is, indeed, great passivity in the US press about this looming threat. On December the 11th , however, Norman Podhoretz wrote an article for the Wall Street Journal in which he warns of the disaster that is ahead if appropriate action is not quickly taken. Read the article below with care and Holy Spirit discernment. Ask the Lord how you may be called to intercede. Now, it may be that the Lord is not moving you into the gap to pray. If not, take up, instead, the work of Aaron and Hur by supporting those of us who are called by your prayers. I know that I must engage this work. In fact, I was ready Sunday morning to attend worship at Christ Community Church when I knew the Holy Spirit was calling me to spend the time instead on the mountain in prayer. As I obeyed, I was intensely aware of the Holy Spirit praying through me in the following ways. 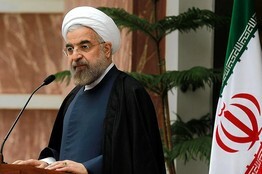 First off we need to focus our prayers on those in Iran around whom this demonic stronghold of death is being built. As we have noted before in past DTTs, most of these leaders are looking for the 12th Imam who is to return as the Mahdi. 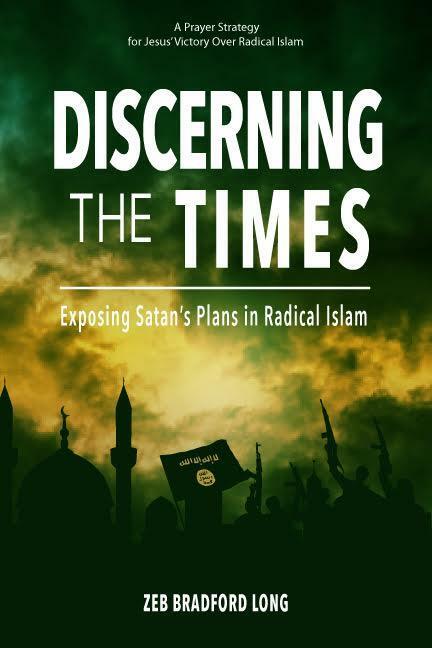 The terrifying thing about this deception is the belief that the Mahdi’s return may be hastened by actions that would bring chaos and death into the world – launching a nuclear weapons attack against Israel, for instance. Of course such an action would result in a massive counter-attack by Israel that would most probably lay waste to Iran leaving many more millions of Iranians dead than Israelis. But the problem is that the threat of retaliation does not function as a deterrent to those through whom Satan is building the stronghold. So what are we to do and how are we to pray? How are we to deal with such religious fanaticism, inhumanity and irrationality? The normal processes of diplomacy and deterrence do not seem to work. They did not work with Adolf Hitler and his Nazi cult, around which Satan built a demonic stronghold with the exact same stated aim of destroying the Jewish people that is embodied in the fanatical Shiite mullahs who presently rule Iran. 1. Let us pray for a great wave of the Holy Spirit to move through Iran and bring Muslims, including the mullahs, to faith in Jesus Christ. Since the Iranian Christian community is so persecuted and subjugated, ask the Father to send Jesus to Muslims in visions and dreams. May our Father use signs and wonders and angelic visitations to present Jesus to the people. I offer here a quick reminder why we need to pray in this way. Surely the Triune God of Grace loves the people of Iran more than any of us ever will—why would He want or need us to request this from Him? The reason is in the mystery of the dynamic of divine-human cooperation: the Lord of the universe has chosen to work through our prayers. 2. Ask the Father to reach and touch the Mullahs in leadership and the embodiment of the cult of the 12th Imam by breaking Satan’s power and deception over their minds and hearts. Pray that if our Father chooses not to convert them to Jesus, that He will remove them from power entirely. We cannot be sure but it may well be that he is one around whom this demonic stronghold of “death to Israel and death to America” is being formed, and he may well be the embodiment, or one of the embodiments, of the deception concerning the 12th Imam. 4. The best case would be for the Holy Spirit to give them visions of Jesus Christ accompanied by angelic messengers and complimented by timely Iranian Christian witness in order to bring them to saving knowledge and experience of the Lord Jesus. They would become modern day versions of St. Paul by ending their persecution of Christians as pawns of Satan, and establish them as leading witnesses for Christ to proclaim Him as the way of life to the Muslim world. 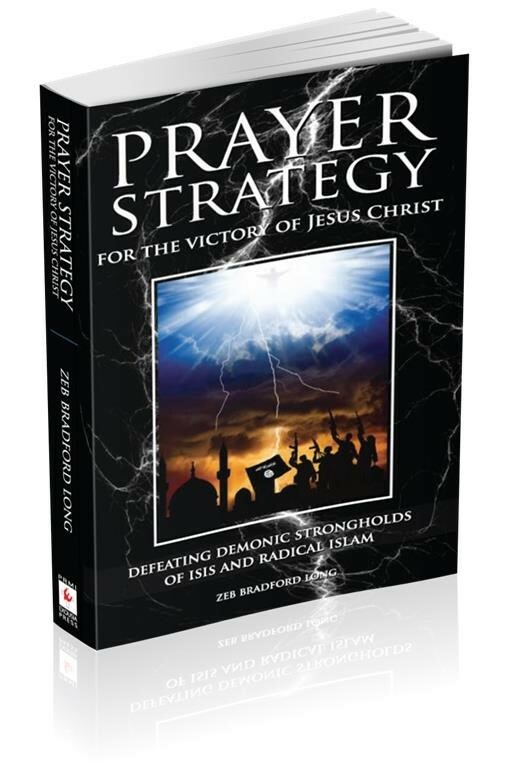 My desperate prayer is that this demonic stronghold which Satan has spent decades developing will be dismantled before either of the terrible possibilities predicted by Norman Podhoretz of a conventional-weapons attack against Iran or an all-out nuclear war in the Middle East must take place. Please pray into this. We need to work the process: I do not want to be deceived. A conventional-weapons attack is preferable to the nuclear war sure to come. Just as almost everyone agreed that Iran must be prevented from acquiring a nuclear capability, there was a similarly broad agreement that this could be done through a judicious combination of diplomacy and sanctions. To be sure, there were those—myself emphatically included—who argued that nothing short of military action could do the trick. But we were far outweighed by the proponents of peaceful means who, however, willingly acknowledged that the threat of military action was necessary to the success of their strategy.